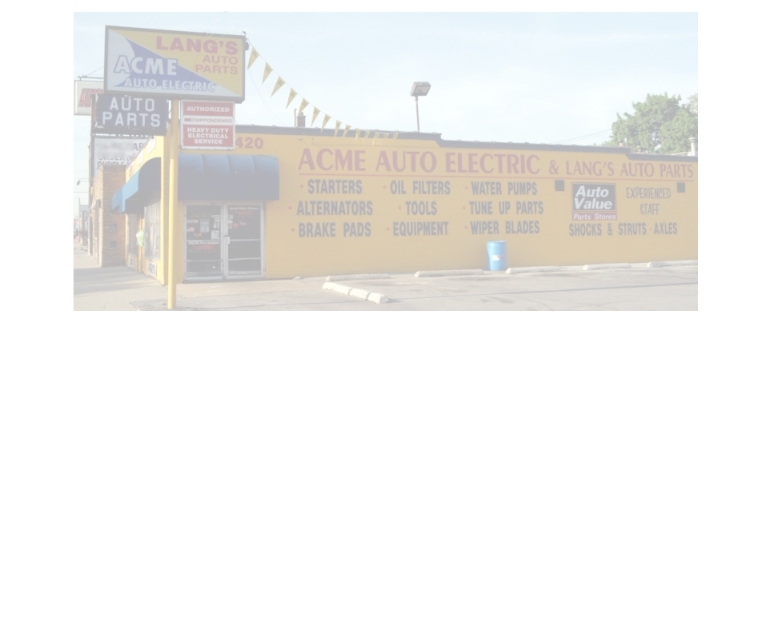 Introducing, Acme Auto Electric II, Inc. Acme Auto Electric has been in business since the 1950’s We take great pride in our quality, service, low warranty rate and competitive pricing. We feel we have one of the lowest warranty rates in the industry. In 2007 our warranty average was 5.4%. We offer same day turnaround in most cases. Most delivery and pick up are at no charge to our customers. One of the reasons Acme can provide quality products and services is because of long-term employees that care about our customers. Store Owner, 33 years with Acme. Rebuilding Shop Manager, 27 years of experience. All Re-builders, 10+ years of experience. General Manager, 24 years with Acme. Office Manager, 19 years with Acme. DC motors for automotive, domestic / imports, industrial, marine, lawn & garden, agricultural, and truck applications. In conclusion, Acme Auto Electric II, Inc. is not the largest re-builder or the smallest, but being a mid-size re-builder gives us the ability to control the quality and services we provide.